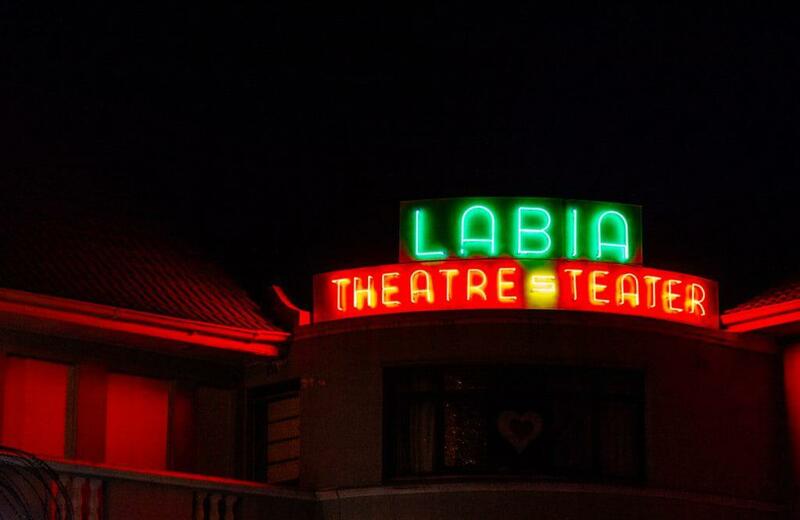 The Labia Theatre is one of Cape Town’s favourite lesser-known attractions. The locals, of course, know it very well. It’s one of Cape Town’s favourite things to do, especially on nights when there’s a dinner special running. It’s the oldest independent cinema in South Africa. The building was originally an Italian Embassy ballroom, and it was opened by opened by Princess Labia (that’s Lah-bee-yah) in 1949. Back then it was used for live theatre, but rumour has it that private projected film screenings started happening here as early as the 1970s. Since 1974, it has been playing host to film festivals and art-house films. It screens mostly artsy, alternative, and foreign films in a relaxed non-commercial setting, although the occasional box office hit makes it onto the line-up. When you see a film here, it comes along with traditional ticket stubs, popcorn in a bag, and even a bar where you can buy a drink to enjoy while watching a film, adding to the charm of this lovely little theatre. They also have a special running every day of the week except Friday, where you can get two meals and two movie tickets for R110-R150. On Mondays and Tuesdays it’s pasta at Societi Bistro for R110. On Wednesdays, Saturdays, and Sundays it’s pizza from Diva Cafė Ristorante for R110, and on Thursdays it’s burgers and chips from Knead for R150. See what others have shared here and share your own using #lovecapetown!